Things never get dull for the country’s lone satellite-radio provider. Shares of Sirius XM Radio Inc (NASDAQ:SIRI) moved lower this week, closing 2.3% lower to hit $3.01. The general market moved lower, and Sirius XM’s dip wasn’t as bad as the Nasdaq’s 2.7% tumble. There was more going on beyond the share-price gyrations, though. 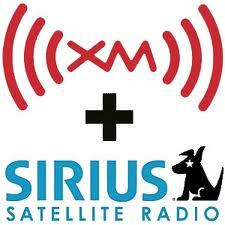 Sirius XM Radio Inc (NASDAQ:SIRI) officially announced the open availability of MySXM. Zacks upgraded the shares to a still uninspiring “neutral” rating. And after weeks of hype, Twitter introduced its music discovery platform. Sirius XM Radio Inc (NASDAQ:SIRI) is a few months late on its promise to deliver personalized radio by the end of last year, but MySXM is now out of beta and readily available. Pandora Media Inc (NYSE:P)‘s success with personalized radio is well documented. The fast-growing music discovery platform announced earlier this month that it has surpassed 200 million cumulative registrations — and more than a third of them tuned in to consume 1.49 billion hours of content last month. MySXM is Sirius XM Radio Inc (NASDAQ:SIRI)’s response. Subscribers can fine-tune dozens of Sirius XM music channels, selecting as many as 100 variations on the already deep genre dive. It’s a unique approach, and there’s plenty riding on the platform if it’s successful. MySXM isn’t included with the standalone receiver-based subscription, but those who are already subscribers only have to pay $3.50 a month for Internet access that includes mobile streaming, on-demand content, and now MySXM. It’s a retention tool, and it could be important if it helps boost conversion rates and lower churn. Zacks Equity Research moved to upgrade the satellite-radio giant ahead of its quarterly report later this month. It isn’t fair to call the move bullish. Zacks is merely boosting its rating to “neutral.” However, it’s also fair to say that the analysts at Zacks don’t want to be seen as bearish when the financials do come out on April 30. “We expect the company’s positive momentum with respect to revenue, margins, and free cash flow to continue in the near term,” reads the press release announcing the move. Zacks isn’t entirely sold on Sirius XM Radio Inc (NASDAQ:SIRI). It points to a new deal with General Motors Company (NYSE:GM) — an early investor and satellite-radio installer — as potentially problematic. The new arrangement calls for the end of General Motors Company (NYSE:GM)’s payment of promotional money to Sirius XM, a move that Zacks concludes will force Sirius XM to miss out on some paid promotion subscribers.